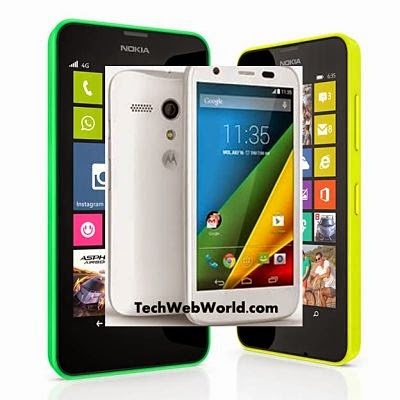 Nokia has introduced the price its new mobile device named as "Lumia 635". The phone is considered as the cheapest mobile phone in the market from the Nokia with 4G enabled. 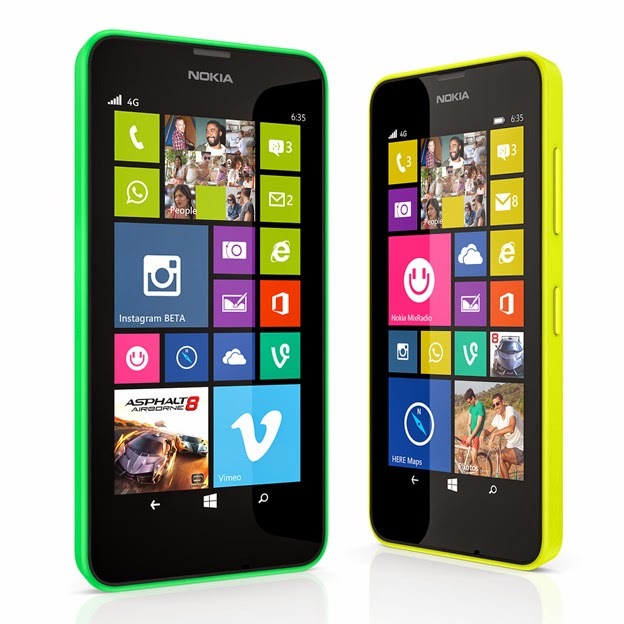 Keeping the appearance and specifications of nokia lumia 635, it is more similar as nokia lumia 630. You should know that both are powered by a 1.2GHz quad-core processor alongside a 512MB of RAM, a 5MP or rear camera, 4.5 inches of display, 8GB internal memory and a MicroSD slot for external memory. But the Lumia 635 featuring a fastest 4G network availability which makes the phone different than the other one. Looking back to the market and keeping devices from other manufacturers, we can conclude that nokia lumia 635 rivalling the Moto G which comes with 4G and microSD slot, as compared the prices of both mobile phones. In particular, Moto G is priced as $219 and Lumia, is called to be priced as $189. So I think there is no more gap between the prices of both the devices. For explanation, the Moto G featuring a 1 GB Ram and a 1.3 MP of front camera. The Nokia Lumia 635 is a low-cost flagship powered by the nokia of the current time as compared to the other phones from nokia, having 4G network capability. As we already mentioned the price above that it is said that the phone is priced as 189 dollars. It is to be noted that Lumia 635 has a 512MB RAM which i think is a bad thing because this will cause to don't support apps and games with high graphics. The phone also lacks a front-side camera and flash with camera. The cons of lumia 635 also include that it featuring a low pixel density screen (218 ppi). Here let have a look at the specs of the newest and budget phone from nokia. We're going to highlight the main specs of the this phone and bring it as a list below. So, In this post we talked all about Nokia Lumia 635 and discussed lit a bit about its features, specifications, pros and cons, price etc. I hope this post helped you and you get some info from our blog. Also please don't forget to share this post on your social profiles and let us spread our voice to the world!!! Nice to read about Nokia Lumia 635. Very less price if we talk about its features. Hope this will increase the declining market of Nokia. You're most welcome dear Abhishek! And i glad to see you their in the comments section. Also that you liked our post.